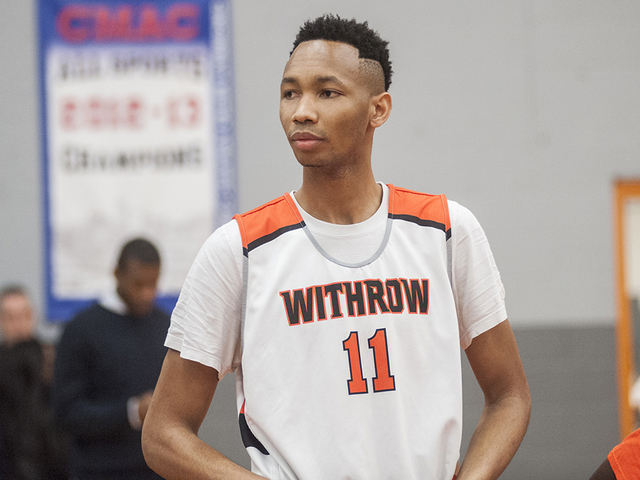 CINCINNATI -- Zubi Nwankwo emerged from the Walnut Hills locker room Tuesday night and smiled as he stepped foot inside the Withrow High School hallway. The Walnut Hills 7-foot-1 senior center couldn’t help but think how enjoyable this winter night had been. 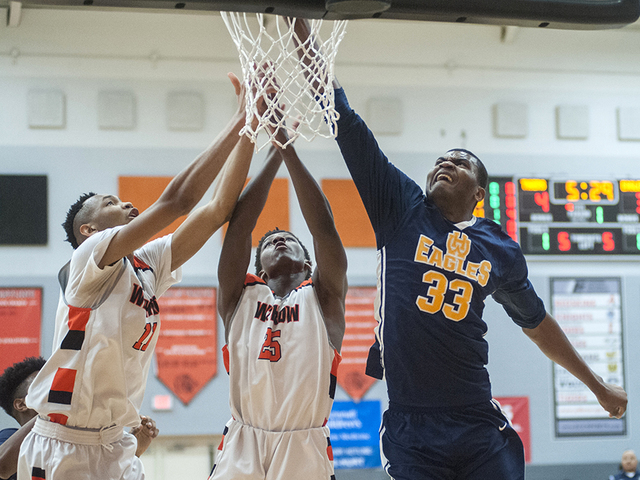 Walnut Hills held host Withrow to just two points in the third quarter as the Eagles defeated the Tigers 45-23 in a heavily anticipated Eastern Cincinnati Conference game between the neighborhood schools. For Nwankwo, who wears a size 17 shoe, the game also carried a deeper personal significance. It was an opportunity to play against his brother, Withrow junior 6-11 center Abba Lawal . The brothers, who live in Walnut Hills, were a bit nervous before the game but soon settled into a rhythm on both ends of the floor. The younger Lawal got the opening tip uncontested. But the matchup had just begun. Nwankwo (pronounced Nu-Wan-Wo) followed that up with a nice entry pass from the top of the key at the other end of the floor. Twenty-seven seconds later, the brothers were matched up on the baseline and Nwankwo was hit with a pushing foul on Lawal. Lawal and Nwankwo arrived in the United States through the Ejike Ugboaja Foundation. The foundation has provided Nigerian athletes with educational opportunities since 2006. Henry Ugboaja is the players’ father and the brother of Ejike, who was drafted by the Cleveland Cavaliers directly from Nigeria in 2006. Lawal and Nwankwo played soccer as youngsters. They picked up a basketball nearly the same time in 2014. Basketball has become a path to college. Lawal, 17, formerly played at Walnut Hills as a freshman in 2015-16 before he transferred to Withrow. The brothers lived in Delaware during the 2016-17 school year. Lawal, listed at 6-11 and 225 pounds and wears a size 16 shoe, was named an ECC honorable mention selection as a freshman during the 2015-16 season. Lawal, who had eight points Tuesday night, has had scholarship offers that include Cleveland State, Akron and Toledo along with interest from the Horizon League and other Mid-American Conference schools. Nwankwo, who is listed at 7-1 and 220 pounds, is still learning the game but has been a rim protector whose focus is on improving his offense. He had five points, 14 rebounds and five blocks Tuesday. Nwankwo, 19, has a soft touch from the mid-range game and that was evident Tuesday night. The Walnut Hills coaching staff has worked with him on catching the ball and learning offensive principles. Nwankwo enjoys working out until 9 p.m. some days when no one is around or as early as 7 a.m. Saturday. “I love getting a rebound and blocking shots,” Nwankwo said. Nwankwo’s dream is to play college basketball. Hill said it will happen. Multiple East Coast programs are showing interest along with Mid-American Conference teams. Area college programs are just learning about him. Wright State contacted Hill Monday. “He’ll have his choice,” Hill said. 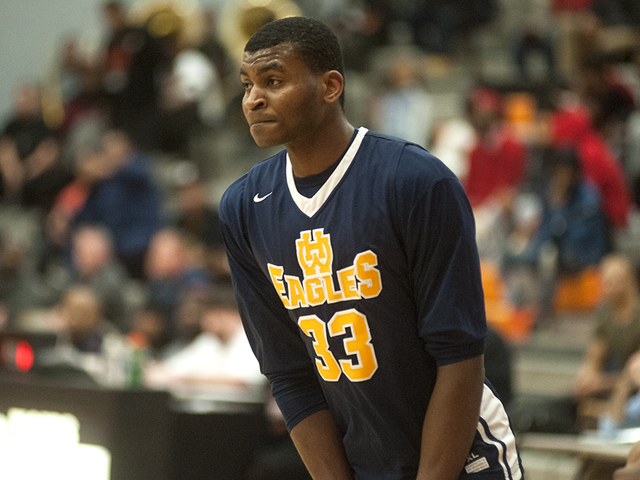 Another player with multiple college options is Walnut Hills senior guard Kameron Gibson. Gibson had a game-high 23 points to lead the Eagles (13-2, 9-0 ECC). He has interest from Temple, Winthrop, Furman and Miami University among other programs. Walnut Hills, winners of seven consecutive games, plays host to Turpin at 7:30 p.m. Friday. Withrow (9-7, 7-2 ECC) next plays host to Anderson at 7:30 p.m. Friday.